I loved Little Witch Academia in its entirety. It’s a series with interesting commentary on art, creation, and the anime industry as a whole, presented in a fun and fanciful package but no other episode is as complete and enjoyable to me than Episode 4, which follows Lotte Jansson and her love of the book series night fall. Sincerity is difficult to come by sometimes. 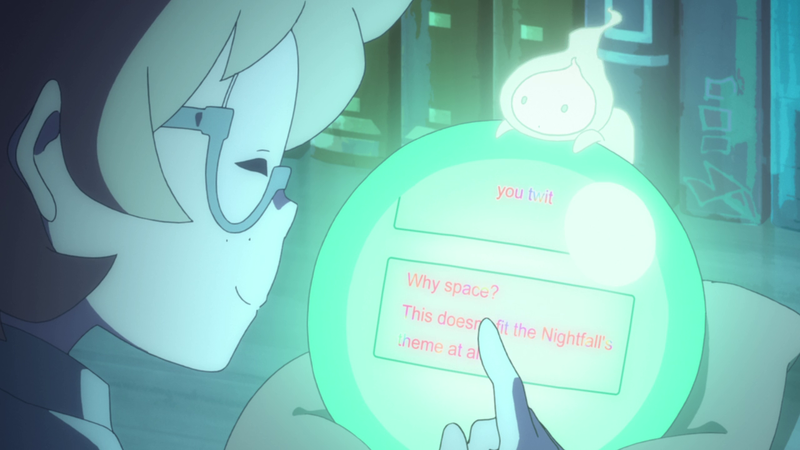 Fortunately, we have Little Witch Academia‘s Lotte to show us the way. Naturally, this is paraphrased. Yet a common complaint of the first half of Little Witch Academia‘s television run was that there was no true antagonist. Akko Kagari wasn’t improving fast enough in her magic. Watching her fail episode after episode was becoming tedious. 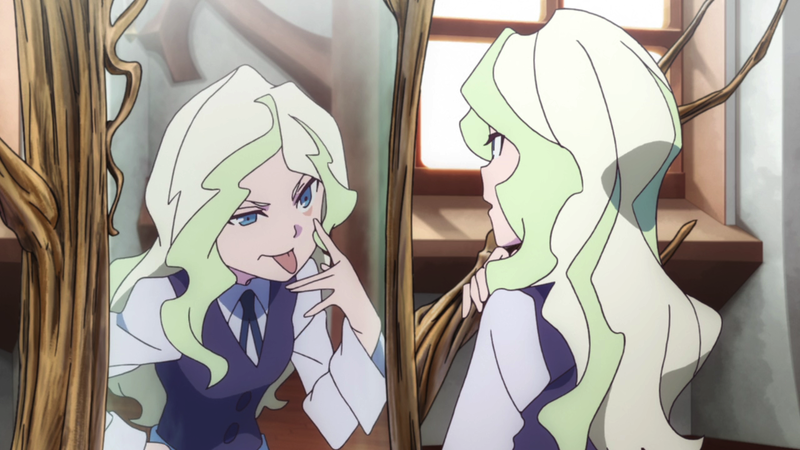 Diana Cavendish wasn’t Akko’s adversary as much as she was her rival. Even then it was a one-sided rivalry. Akko failed most of the time while Diana continued to garner acclaim from her peers and teachers alike. Episode 13 marked the end of the series’ first half and the end of Akko’s complete failure. 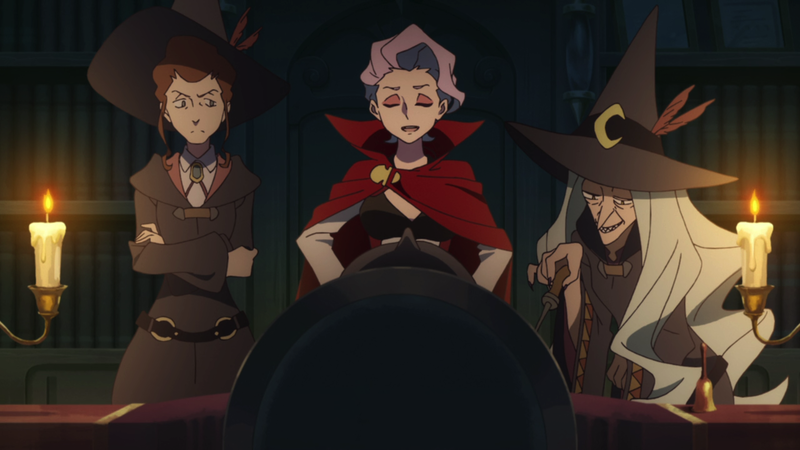 With her magic at the Samhain Festival, Akko stepped up and became the witch who impressed her peers and teachers alike. Even the visiting alumni were dazzled. The series has now entered its second half and a presumed “big bad” — at the very least, a true antagonist — has appeared: Professor Croix. Yet, I maintain that she too is not a true antagonist. And that Little Witch Academia doesn’t need a big bad to be compelling. What makes her, Diana Cavendish? Take away the prestige attached to her recognizable family name and the simpering sidekicks. Treat her like any other student at Luna Nova, albeit with similar magical talent but less training. Would she inevitably rise to the top of the school or would she become just another student as magic continues to fade from existence? If she isn’t the last hope of Luna Nova and the art of magic, then just who is Diana Cavendish? Every episode of Little Witch Academia reiterates the theme of inspiration. Protagonist Akko Kagari embodies this theme through her love for disgraced entertainer Shiny Chariot — which she shouts from the rooftops despite Chariot’s poor reputation in the magical world. School prodigy Diana Cavendish was also inspired by Chariot, but keeps her love hidden rather than face similar ridicule that Akko inspires. 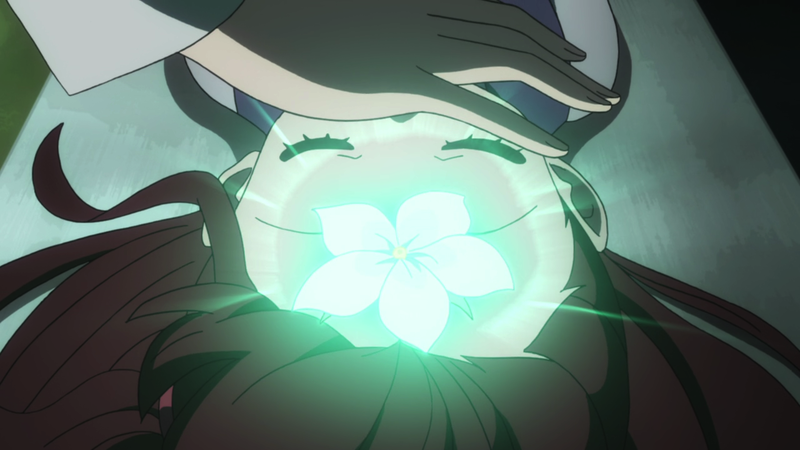 When Lotte Yanson received her own, poignant episode about her love of night fall, a trashy and expansive novel series with a rabid fanbase, it became likely that Akko’s other cohort, Sucy Manbavaran, would receive her own episode as well. Although the main narrative focuses on Akko’s love of magic against the backdrop of magic as a dying art, supplementary stories involving other characters within the series are only natural, especially for a series that’s more episodic in nature. 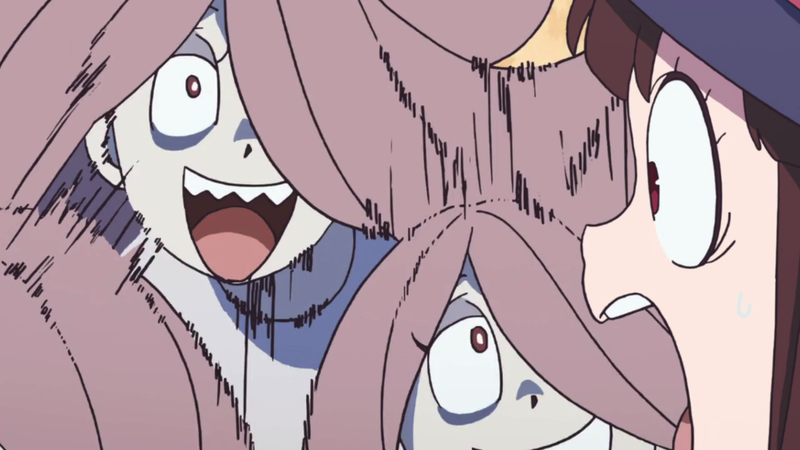 I knew that a Sucy episode was on the horizon, but was also apprehensive about its execution. Sucy Manbavaran is a deceptively tricky character. Her role in Little Witch Academia has been fairly one-note, and while that note is hilarious it also toes the line between lovably insane and genuinely awful. Giving her a sad backstory, or any backstory that explained why she is who she is, would ruin her delightful, occasionally evil, nature. Nothing ruins a joke more quickly than explaining the joke, and I was worried that Sucy’s episode would do just that. As it turns out, I had nothing to worry about.